@MDLottery UNO™ is about to get WILD with new scratch-offs. 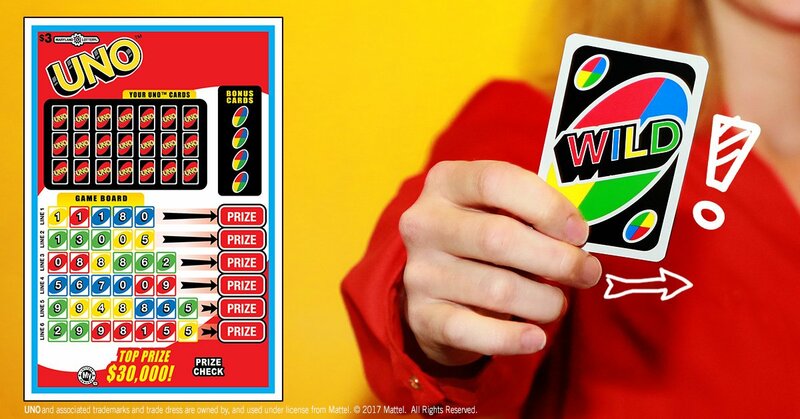 Maryland Lottery‏Verified account @MDLottery 15m15 minutes ago More UNO™ is about to get WILD with new scratch-offs. TOP PRIZE of $30,000!